On April 9th 2014, we will be moving to a new version of Yammer Embed and retiring our current Embed code. 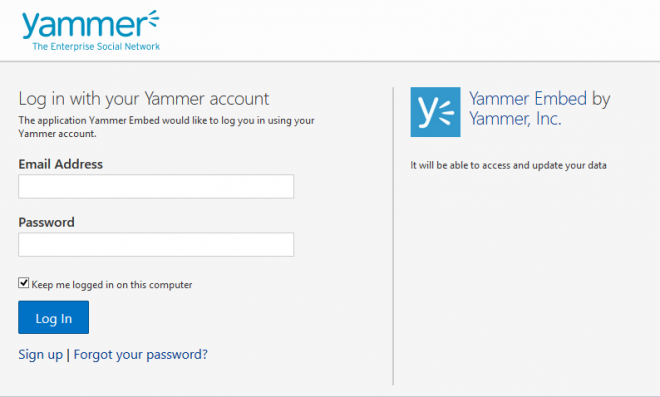 We have identified your network as having an active Yammer Embed instance — to ensure you do not encounter any service disruptions, we encourage you to begin the upgrade process as soon as possible. 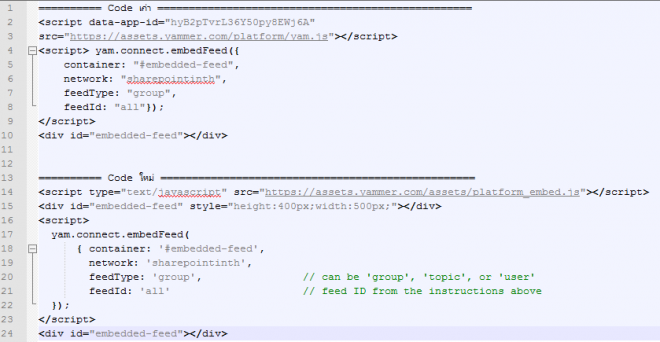 Embed Improvements – What has changed? What does this mean for my network? You should begin the upgrade process as soon as possible. The Embed Update should be a straightforward process for you and/or your IT administrators and require all instances of Embed to be replaced.